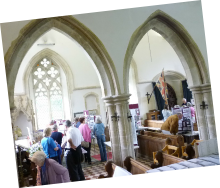 The theme of our fourth, annual event on Saturday 9th July 2016 was “Village Memories” and we were delighted that so many local residents as well as those from further afield brought not only their memories but also plenty of interesting photographs from their private collections to share with us. 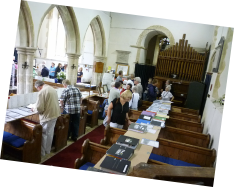 One of our volunteers was on hand to digitally scan these photographs which we will - with the owners’ permission of course - be able to use for future exhibitions and books. 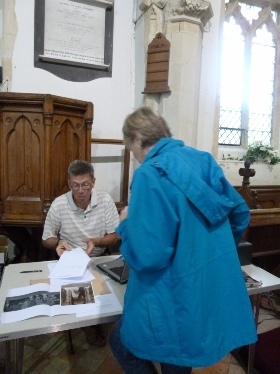 We were delighted to launch the twelfth book in our local history series at our event. This book tells the story of James Scarfe of Botesdale who fought in the 17th Lancers in the “Charge of the Light Brigade” during the Crimean War. Although injured, James survived to tell the tale. 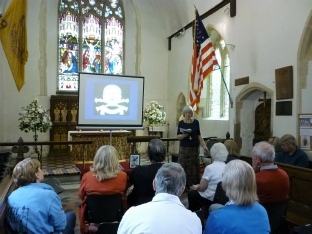 Sue Emerson gave a talk about James and his experiences which had the audience enthralled and a little alarmed when she pulled out a sabre similar to that used by James and his comrades!